Always with an eye to quality and correct conformation, the mares of Rideaufield were carefully chosen. When the time came to look for a stallion to breed to the Amurath Elan daughters, Three-B Rasheik++ came to Rideaufield. Under Rideaufield's love and guidance, Three-B Rasheik++ earned his Legion of Merit (a few performance points short of his Legion of Supreme Merit) and was named Canadian National Top Ten Stallion. He became the heart of Rideaufield and in many ways a "once in a lifetime horse". An IAHA Top Ten Juvenile Sweepstakes Sire (even until many years after his passing) - Three-B Rasheik++ put Rideaufield "on the map". And then, in 1990, the beautiful *Bask son, Amurath Baikal, came to Rideaufield.... 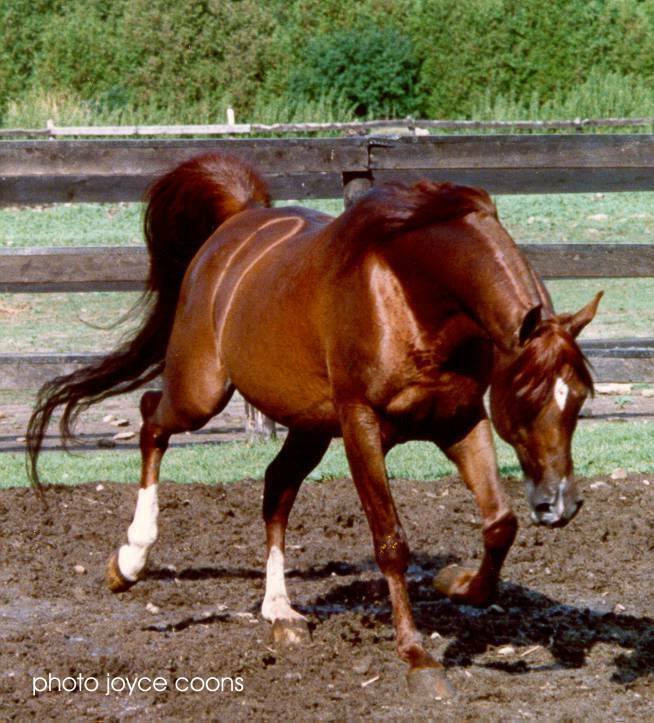 The breeding emphasis switched - from a largely, highly successful Half Arabian breeding programme - to an equally highly successful purebred programme. and his full sister Simply The Best - Region 16 Champion Mare, East Coast Champion Mare and dam of 2011 US National Champion Country English Pleasure AOTR 18-35, Simply Afire (by Afire Bey V). Xceptshahn (Bey Shah+ x RSD Khaptivation (by Khemosabi++++).